Based in Barrie, Alt. 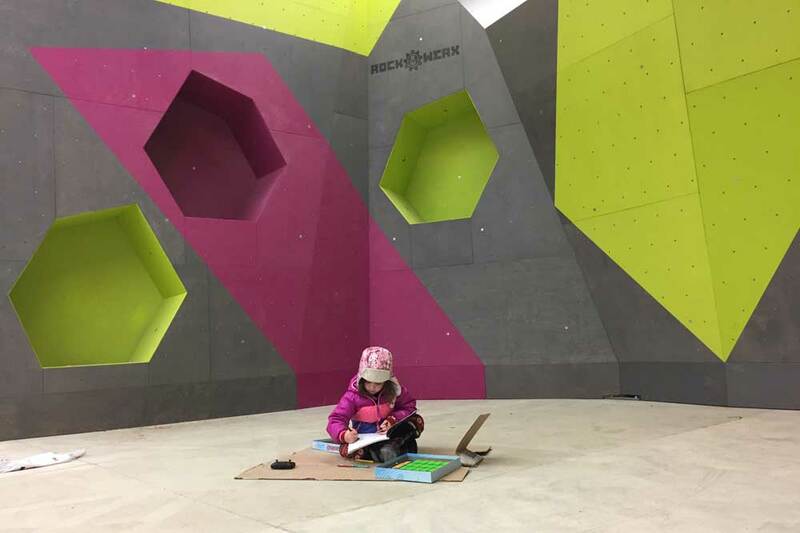 Rock is Southern Ontario's newest climbing gym. 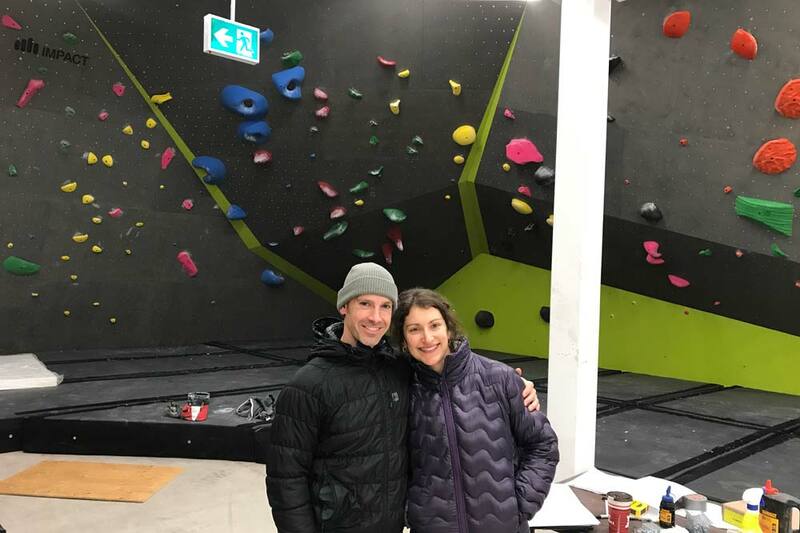 We caught up with owners Michael Moore (MM) and Jaclyn Kane (JK) and discussed the motivation for opening a climbing gym, the gym's community-based approach and their upcoming grand opening in late December, 2017. Alt. Rock owners, Michael Moore and Jaclyn Kane. Congratulations on the new gym! So what motivated you to open Alt. Rock? MM: I’ve been a climber since I was 16-years-old and I’ve lived in Barrie most of my life. This has been my dream for a long time. I knew the climbing community was just waiting for a gym to open. The timing was right for us, so we decided to take a risk and go for it. JK: I have a business background and have always wanted to run my own business. When Mike suggested the idea a couple of years ago, I laughed it off. But, as time went on, it just felt like the right moment to try to make a change for our family. The opportunity was there and we went for it. Can you tell us a bit about the facility and where it’s located? MM: It’s centrally located in Barrie and accessible by public transit and bike lanes. It’s close to a lot of great amenities (restaurants) and on a major artery to Collingwood and the Beaver Valley. We see Barrie as the gateway to outdoor climbing and a lot of other great recreational opportunities. It makes for a fun and active community. JK: There is a burrito joint in the same plaza! Are you the sole proprietor or are there other folks involved with the project? JK: This is a family business! What do think will help distinguish Alt.Rock from other climbing gyms? MM: The demographic in Barrie is going to demand a slightly different spin on climbing and bouldering. More specifically, bouldering is virtually unknown as a sport in our community. That being said, Barrie is a very active and engaged demographic and we want to offer an alternative to the kid-play parent-spectate dynamic that currently exists. 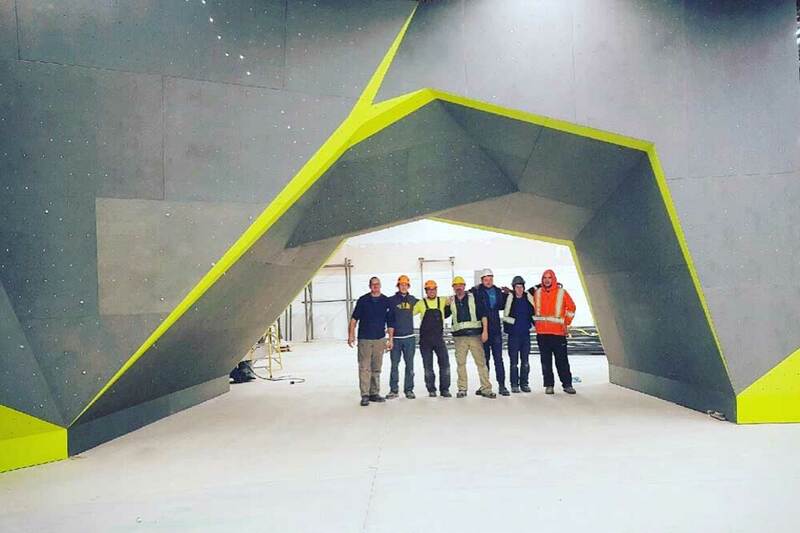 We will be a home for the existing climbing community in Barrie and a welcoming place for anyone interested in getting active and engaged in an amazing sport. We see real potential for growth and engagement in climbing both as a sport and as a business. JK: I can’t stress enough that I want this gym to be an inclusive environment. It’s really important to me. I am not a very good climber myself but I enjoy it - A LOT. Some facilities we have been to are intimidating to climbers like me. I want to make sure that we are not perceived that way. For us, climbing is for everyone. Every climbing gym has some construction horror stories. Care to share yours? JK: We don’t have any major horror stories (knock on wood). But we have had a huge learning curve in general with such a major construction project. Ok, now that we have that out of the way, how about some of the more positive experiences you’ve had while opening the gym? MM: Seeing the community becoming excited through social media has been fun. We can’t wait to welcome all these people into the Alt. Rock community and watch their engagement and passion for the sport grow with us. JK: The support from other gyms across Canada has been amazing. Their support, advice and enthusiasm has helped us stay inspired and continue on our path. We feel very fortunate. Someone is already enjoying Alt. Rock! Many climbing gyms offer courses or complementary activities. Are you planning anything similar? MM: The honest truth is we have intentionally left this as a blank (literally an open warehouse space in the gym) so that we can respond and evolve into what our community demands. We have some great ideas with the whole movement culture phenomenon and we are excited to try some of them out. JK: We want to create the perfect gym for the Barrie community. So yes, we will have complementary activities. But we will wait and see what people are requesting so that we can better serve the community's needs. Who do you see as the typical Alt. Rock customer? MM: I feel like, for the most part, outside of a small existing climbing community, we have an opportunity to expose people to climbing for the first time. We want them to experience how immersive, multi-faceted and challenging climbing can be, and hopefully, inspire them to continue with the sport. Whether you come to Alt. Rock for a birthday party or are looking for climbing specific training tools for your next project, we hope to provide what people need to find their place in our community. Typical is not what we are expecting. Alt. Rock's motto (climb, move, play) reflects the ideals the climbing gym wants to promote. Finally, when is Alt. Rock officially opening? MM: We haven’t nailed it down, yet. We are anticipating being open after Christmas, at the latest. We are so close! You can find out more about Alt. 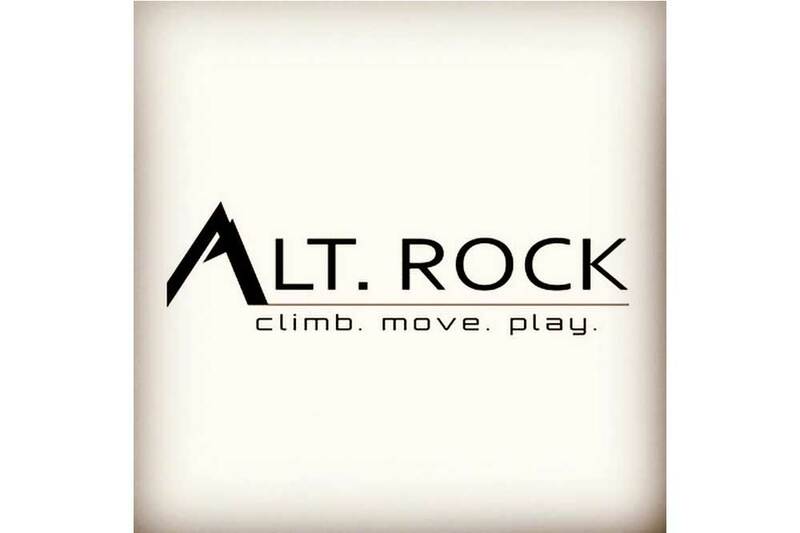 Rock climbing gym at http://www.altrock.co/.